The Women's Momentum Long Sleeve Crewe Top from Icebreaker is combining technical performance with style. The classic design with the modern twists means you can comfortably go from the gym to the coffee run and beyond. 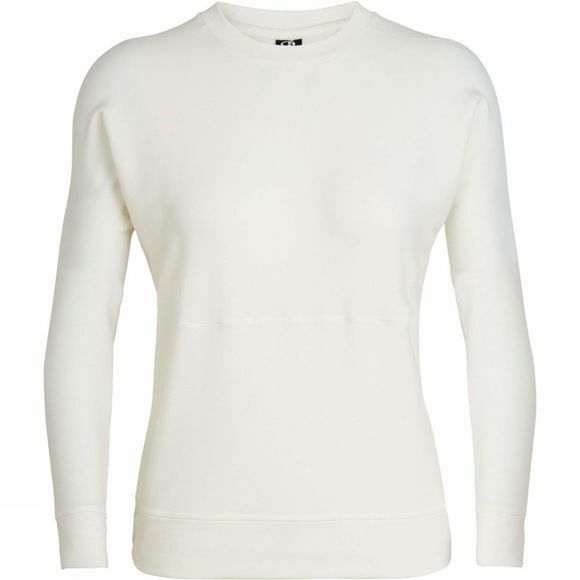 A versatile top for all seasons, it’s made from Cool-Lite fabric, a blend of soft merino wool with natural TENCEL to keep you cool when the temperature rises, with a touch of LYCRA for dynamic stretch. The fibers are corespun around nylon for added strength and durability. In a relaxed fit, it includes low-profile merrow stitching for next-to-skin comfort.